The best images of 2016, from imaggeo, as chosen by our readers and followers. For the past few years we’ve celebrated the end of the year by rounding-up some of the best Imaggeo images. But it’s no easy task to pick which of the featured images are the best! Instead, we turned the job over to you! We compiled a Facebook album which included all the images we’ve used as header images across our social media channels and on Imaggeo on Mondays blog post in 2016 an asked you to vote for your favourites. Today’s blog post rounds-up the best 12 images of Imaggeo in 2016, as chosen by you, our readers. Of course, these are only a few of the very special images we highlighted in 2016, but take a look at our image repository, Imaggeo, for many other spectacular geo-themed pictures, including the winning images of the 2016 Photo Contest. The competition will be running again this year, so if you’ve got a flare for photography or have managed to capture a unique field work moment, consider uploading your images to Imaggeo and entering the 2017 Photo Contest. When you think of a glacier the image you likely conjure up in your mind is that of bright white, icy body. 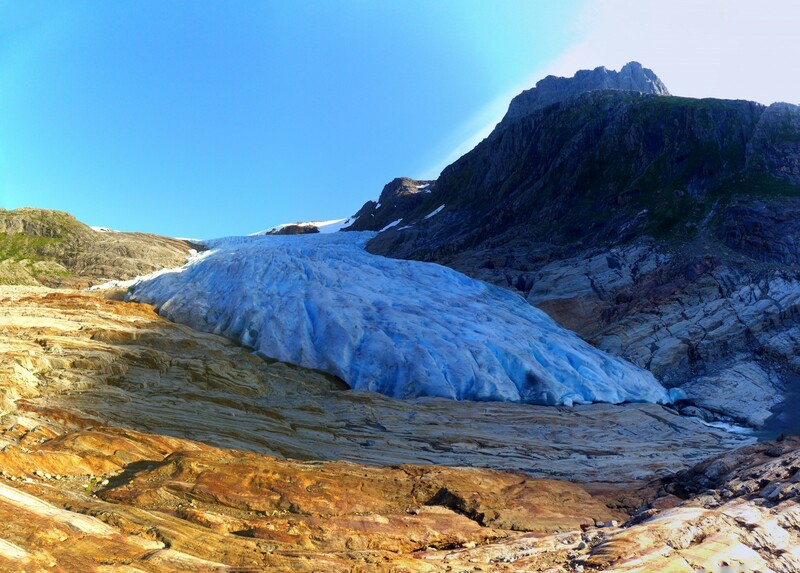 So why do some glaciers, like Engabreen, a glacier in Norway, sometimes appear blue? Is it a trick of the light or some other phenomenon which causes this glacier to look so unusual? You can learn all about it in this October post over on GeoLog. Among the winning images of our annual photo contest was a stunning night-sky panorama by Vytas Huth; we aren’t surprised it has been chosen as one of the most popular images of 2016 too. 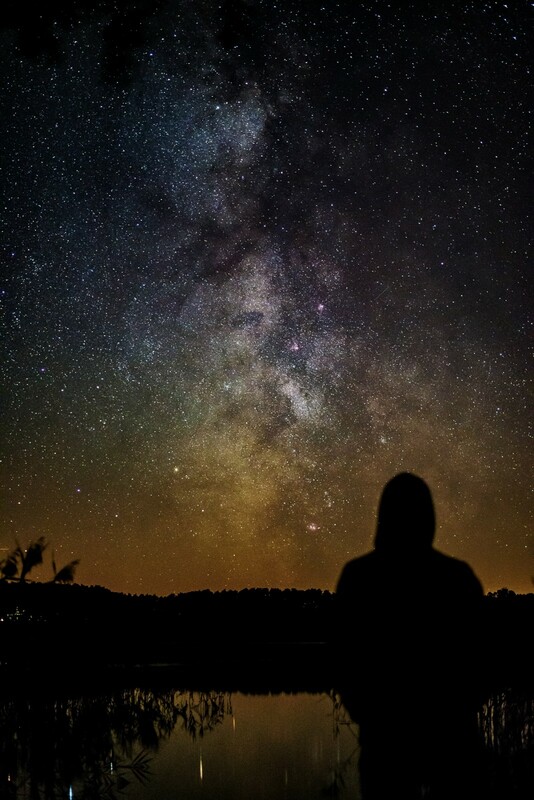 In this post, Vytas describes how he captured the image and how the remote location in Southern Germany is one of the few (in Europe) where it is still possible to, clearly, image the Milk Way. 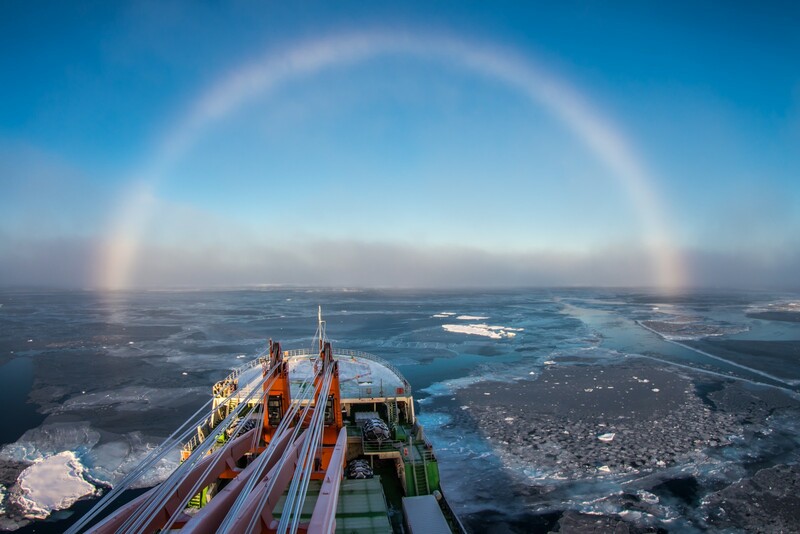 “Above the foggy strip, this white arch was shining, covering one third of the visible sky in the direction of the ship’s bow,” describes Mikhail Varentsov, a climate and meteorology expert from the University of Moscow. “It was a so-called white, or fog rainbow, which appears on the fog droplets, which are much smaller then rain droplets and cause different optic effects, which is a reason of its white colour.” Mikhail captured the white rainbow while aboard the Akademik Tryoshnikov research vessel during its scientific cruise to study the effects of climate change on the Arctic. The header image, History by Florian Fuchs, we used across our social media channels was popular with our Facebook followers, who chose it as one of the best of this year. 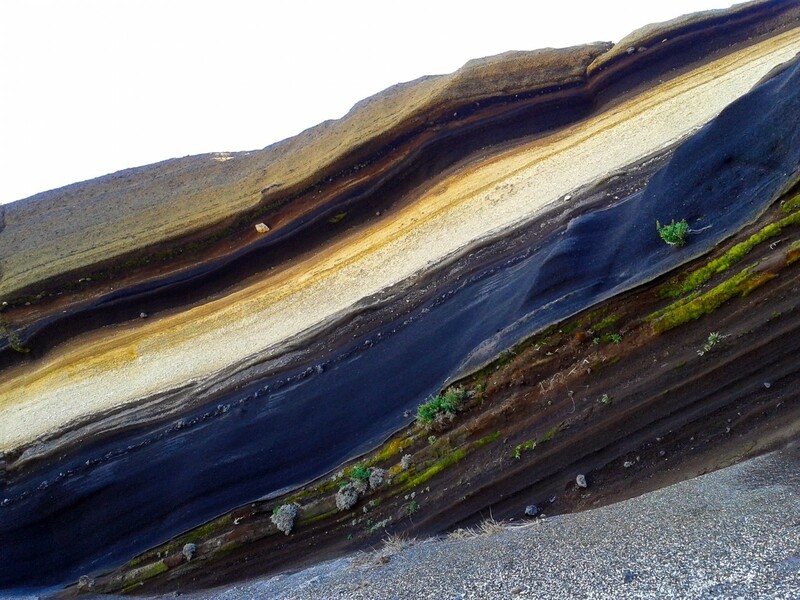 The picture features La Tarta del Teide – a stratigraphic section through volcanic deposits of the Teide volcano on Tenerife, Canary Islands. Lavas erupted into river waters, and as a result cooled very quickly, can give rise to fractures in volcanic rocks. They form prismatic structures which can be arranged in all kinds of patterns: horizontally (locally known as the woodpile), slightly arching (the harp) and in a radial configuration known as the rosette. The most common configuration is the ‘organ pile’ where vertical fractures form. 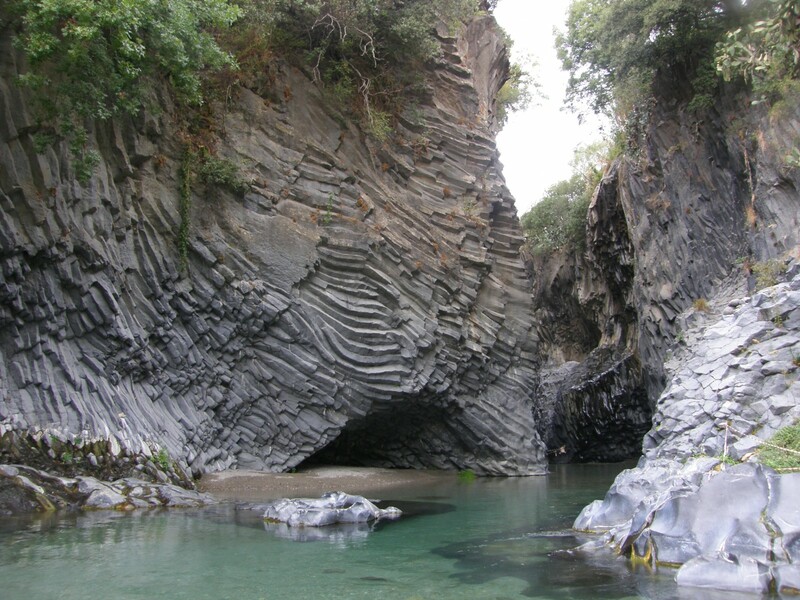 These impressive structures are seen in the walls of the Gole dell ‘Alcantara, a system of gorges formed 8,000 years ago in the course of the river Alcantara in eastern Sicily. 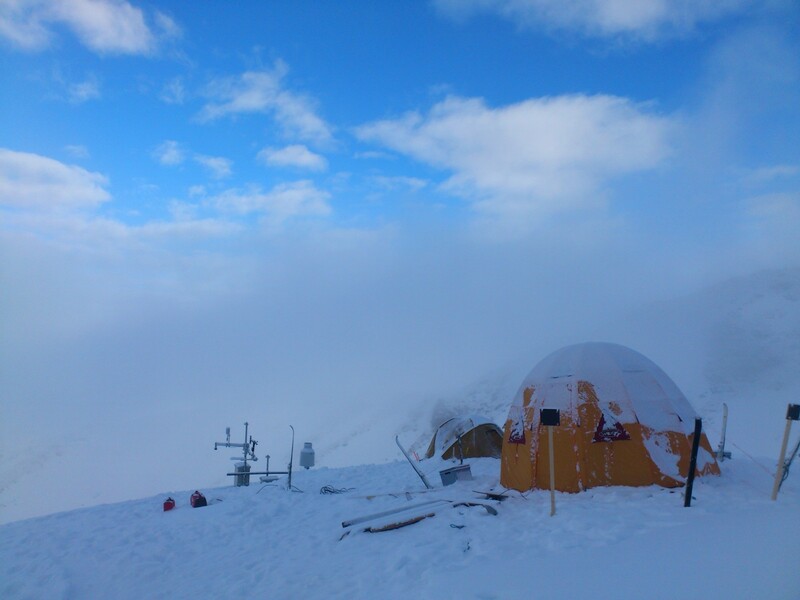 Can you imagine camping atop some of the highest mountains in Europe and waking up to a view of snowcapped peaks, deep valleys and endless blue skies? This paints an idyllic picture; field work definitely takes Earth scientists to some of the most beautiful corners of the planet. 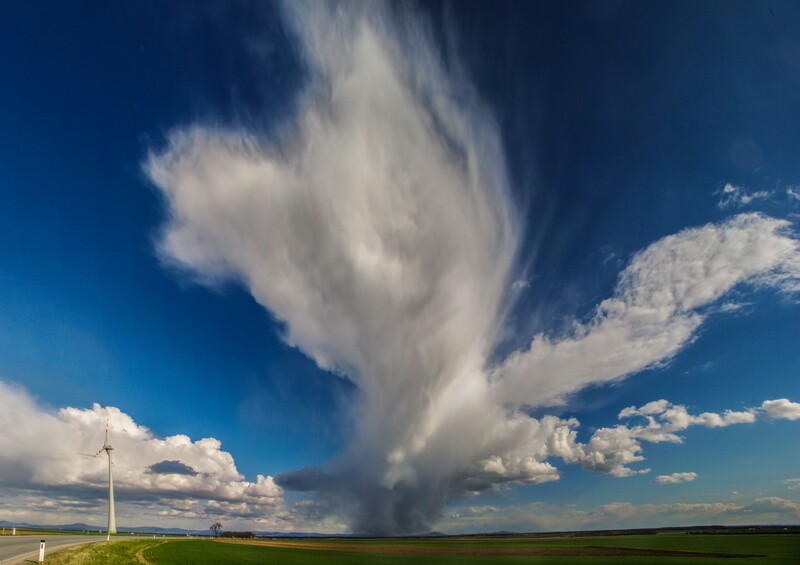 In November 2016 we featured this photograph of an isolated thunderstorm in the Weinviertel in April. The view is towards the Lower Carpathian Mountains and Bratislava about 50 kilometers from Vienna. Why do storms and isolated thunderstorms form? Find out in this post. 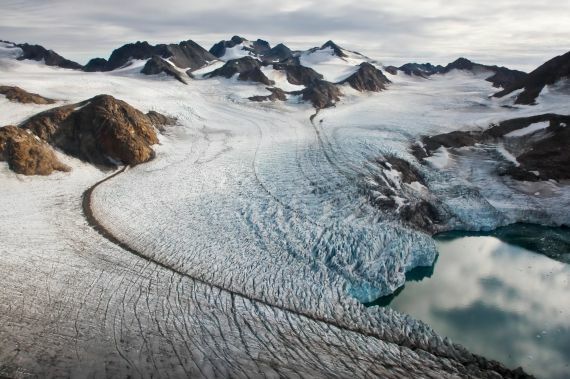 As glaciers move, they accumulate debris underneath their surface. As the vast frozen rivers advance, they carry the debris, which can range from pebble-sized rocks through to house-sized boulders, along with it. As the climate in the Yosemite region began to warm as the ice age came to an end, the glaciers slowly melted. 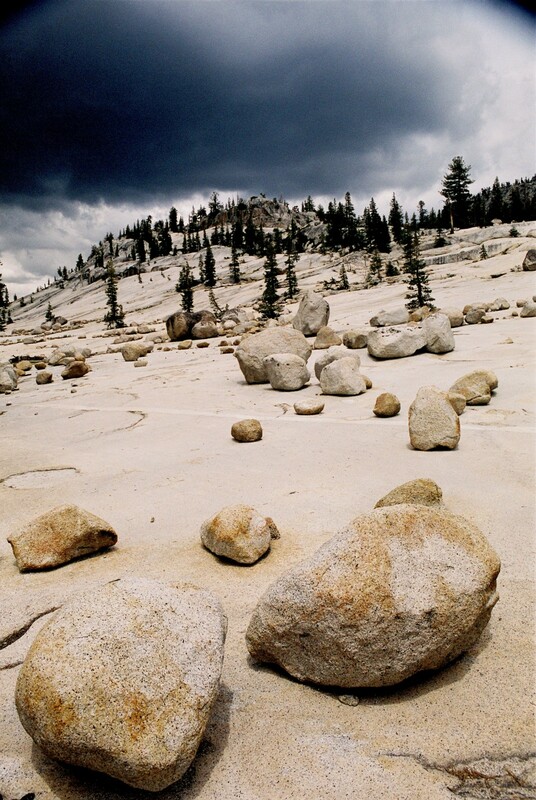 Once all the ice was gone, the rocks and boulders, known as glacial erratics, were left behind. 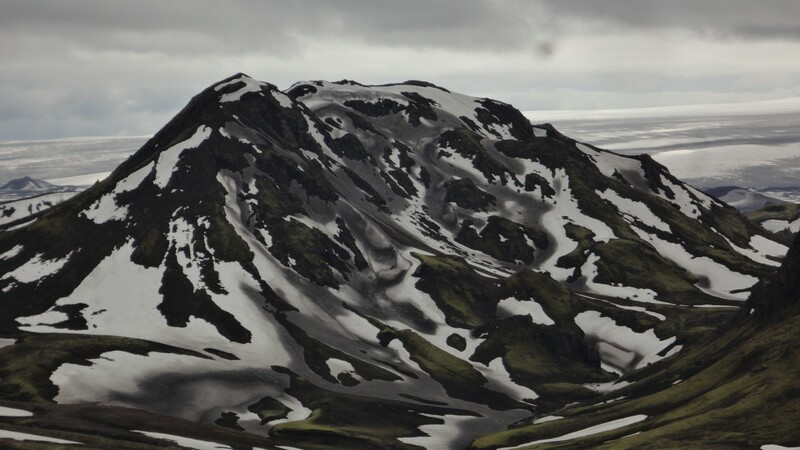 Icelandic snow-capped peaks are also sprinkled by a light dusting of volcanic ash in this photograph. Dive into this March 2016 post to find out the source of the ash and more detail about the striking peak. There are handful true wildernesses left on the planet. Only a few, far flung corners, of the globe remain truly remote and unspoilt. To explore and experience untouched landscapes you might find yourself making the journey to the dunes in Sossuvlei in Namibia, or to the salty plain of the Salar Uyuni in Bolivia. But it’s not necessary to travel so far to discover an area where humans have, so far, left little mark. One of the last wilds is right here in Europe, in the northern territories of Sweden. 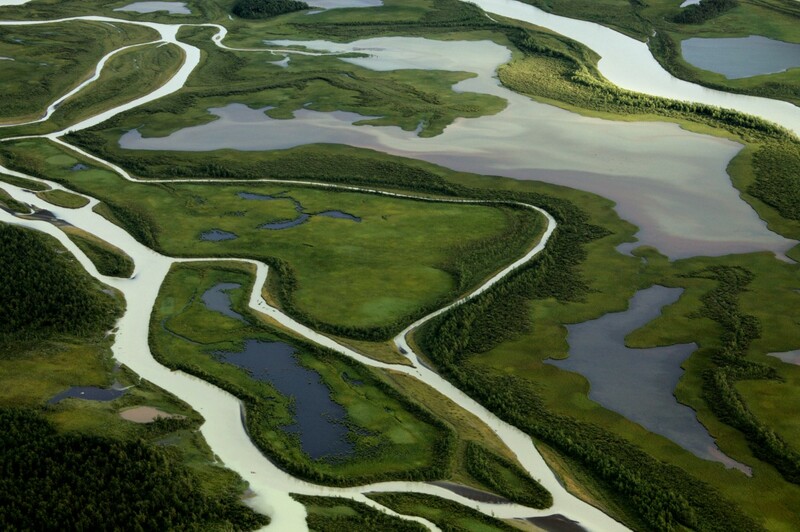 This spectacular photograph of the Laitaure Delta is brought to you by Marc Girons Lopez, one of the winners of the 2016 edition of the EGU’s Photo Contest! The power of ice. Credit: Romain Schläppy, (distributed via imaggeo.egu.eu). The January 2016 header image across our social media was The Power of Ice, by Romain Schlappy. This vivid picture was captured from a helicopter by Romain Schläppy during a field trip in September 2011. You can learn more about this image by reading a previous imaggeo on mondays post. The current header image, Sea of Clouds over Uummannaq Fjord by Tun Jan Young, is also a hit with our followers and the final most popular image from Imaggeo in 2016. 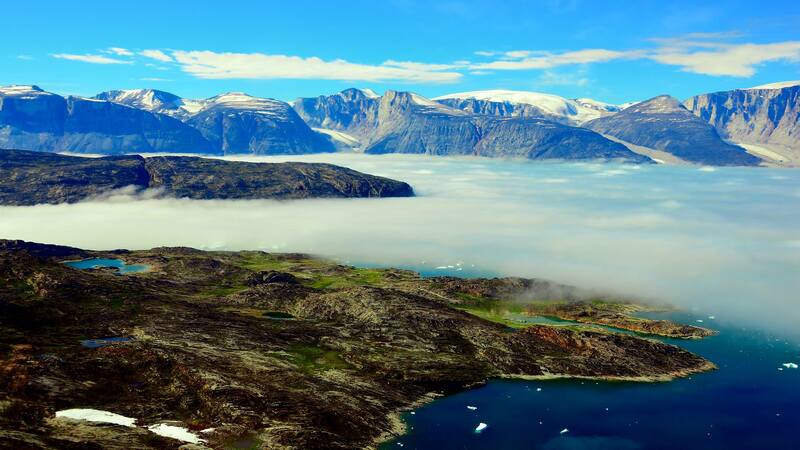 A sudden change of pressure system caused clouds to form on the surface of the Uummannaq Fjord, Northwestern Greenland, shrouding the environment in mystery. 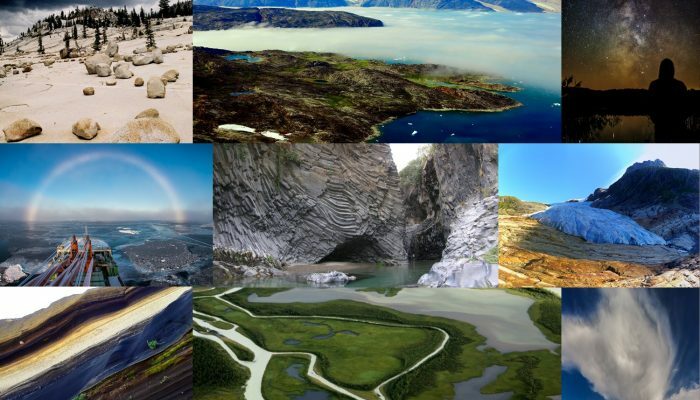 Last chance to enter the EGU Photo Contest 2017!